A client contacted House Clearance Coldstream and asked us to clear a house that she had recently inherited, a two-bedroomed flat on the third floor of a 1940s block in Coldstream. She wanted to move into the property herself, but it still contained many personal effects and furniture that had belonged to the previous occupant, an uncle of hers. She already owned her own furniture and wanted to move that into the flat. She also wanted the kitchen completely cleared as she planned to have a new one fitted. There were a couple of antique chairs that had belonged to her uncle that she wanted to keep. We made an early 7 a.m. start and began by moving the larger pieces of furniture and various bits of bric-a-brac, carefully checking that none of it had a significant value. Many times, we have saved items for clients that they were about to discard but which we could see had a value. This is part of the expertise we offer as standard with our service. In this case, we didn’t find anything of real interest. However, we did find two photograph albums during the house clearance which the client was very glad to have. They included many family photos and also some from the client’s childhood when she’d shared family holidays with her uncle. After we’d cleared the living room and the two bedrooms, we moved on to the kitchen. The white goods were in working order, but too old to be of much value. We removed the kitchen cabinets and all the crockery and cutlery. Finally, we gave the flat a thorough clean, and the job was finished by 4.30 p.m. Although of no real secondhand value, almost all of the furniture we cleared was capable of reuse, as were the white goods. We donated the furniture to a local charity shop in Coldstream and passed on the white goods to a hostel for homeless people also in the Coldstream area. 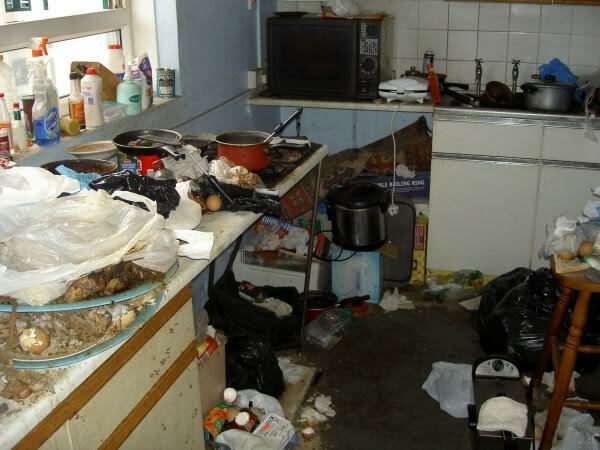 The client inspected the property at the end of the day and was amazed by the work that our house clearance team had been able to carry out in so short a time. She was also very grateful that we’d spotted the photo albums and returned them to her, saying that they contained many happy memories. For the past six years Coldstream’s show of support for the armed forces, its Parade of Colours, has traditionally been held a week before Armed Forces Day and this year was no exception. Glasgow House Clearance – What Happens After House Clearance?